Economics Professor Tasso Adamopoulos has co-authored a working paper with Diego Restuccia that tries to understand why agricultural productivity is low in the developing world. The research caught the attention of The Economist, which recently featured it. Adamopoulos’ team accessed records from the Food and Agriculture Organization of the United Nations, analyzing high resolution spatial data on production, land use and geography from 162 countries. 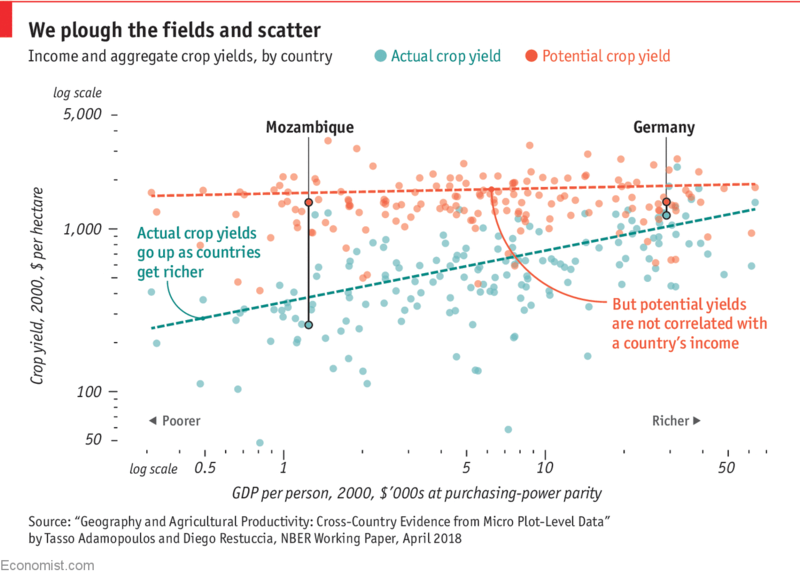 They found that developed countries, such as Germany, have much higher yield per acre than developing countries, such as Mozambique. Adamopoulos’ team finds that this cannot be attributed to geographically different growing conditions, such as land quality, topography and climate, which are much more similar across the richest and poorest countries of the world. 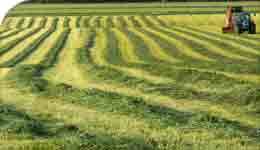 The paper concludes that geography is not destiny when it comes to agricultural productivity. If farming practices were the same around the world then land quality would not be a major constraint on farmers in poor countries. The paper also concludes that 80 per cent of gains can be achieved with efficiency improvements, which can include use of irrigation and intermediate inputs, adoption of modern technologies, and increases in farm size, among others. Improving the mix of crops to better suit inherent growing conditions could contribute to an additional 20 per cent increase in yield. Read the full article and see the infographic in The Economist.